We were out visiting my wife’s family in Illinois over the holidays and it was blisteringly cold. This photo just says cold to me. 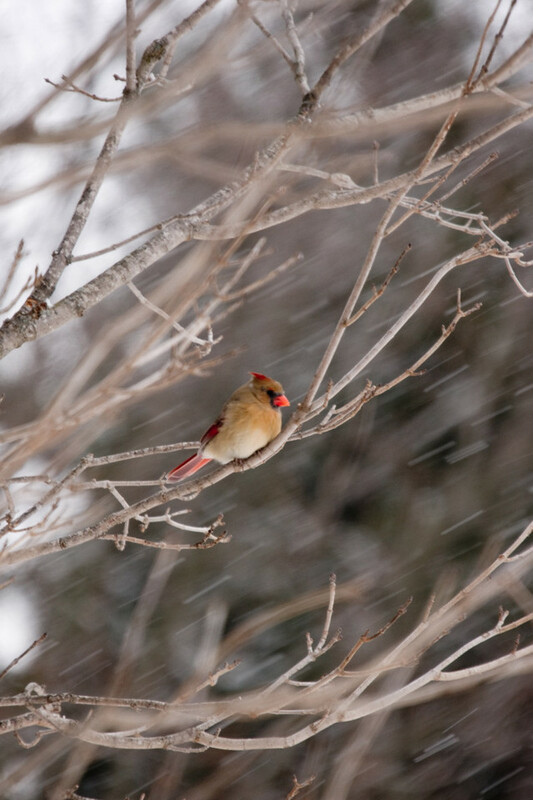 It was a little darker out and I had a 300m zoom (* 1.5 = 450mm) on so you can see the snow trails as this poor Cardinal just looks cold. May have to post a beach photo next just to warm us all up. Enjoy.